Chase exhibited this painting in 1884 under two different titles — The Young Orphan and later, At Her Ease. 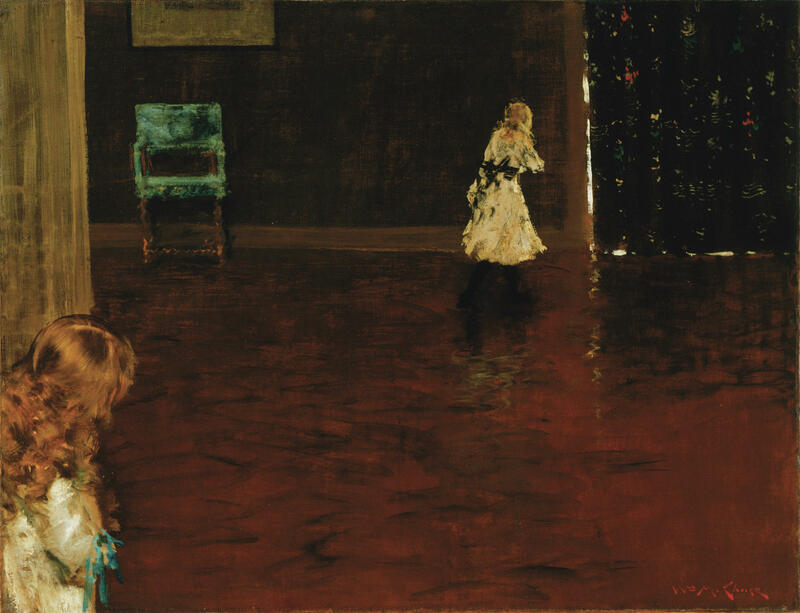 In Chase's 1888 Hide and Seek, two young girls — sisters, perhaps — play on a vast shimmering hardwood floor, in a sparely-decorated room. A mysterious painting. Who is hiding? Who is seeking? Is it just a game? Or is the painting about growing up — the older girl approaching the door to adulthood, the younger one looking at her own future? Chase used to paint fish during the classes he taught at the New York School of Art. He would buy fish at the market, paint them quickly, and return them before they went bad. American artist Lydia Field Emmet was one of Chase's students. 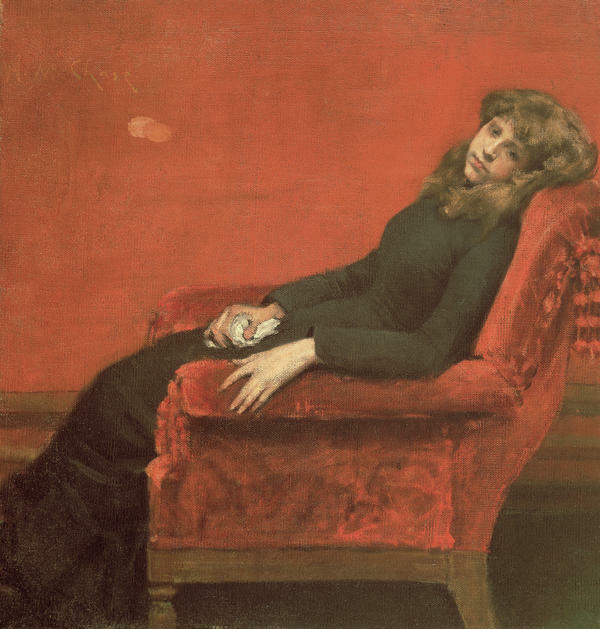 This painting, which Chase made in 1892, shows her in a pose more often seen in portraits of men. Chase was known for his impeccable dress, which fascinated students. One said, "he can do an oil painting wearing a white flannel suit and get not a drip on himself." Chase painted this self portrait in his 4th Avenue studio. 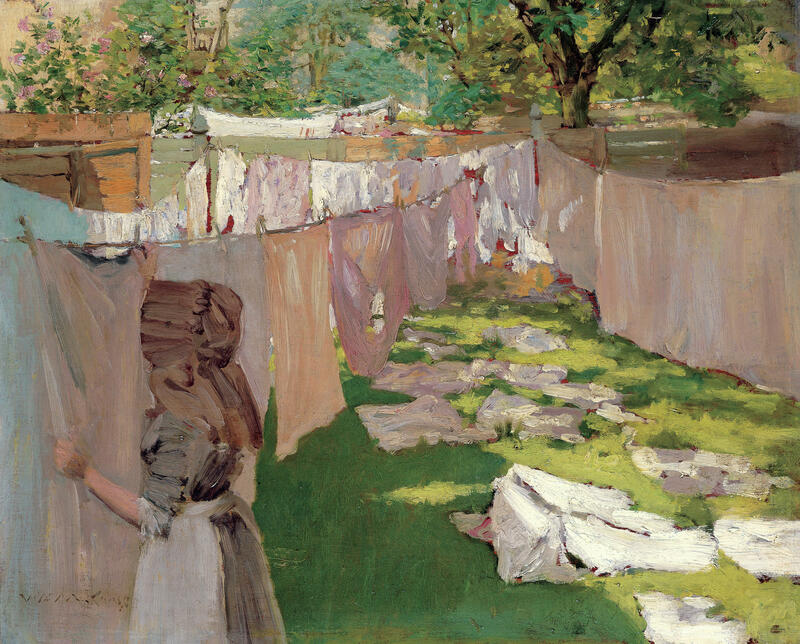 Washing Day is one of more than 70 artworks by Chase on display at The Phillips. On display are his portraits, landscapes, domestic scenes, and still life paintings. Chase made everyday objects — like onions and fish — gorgeous. The dead, silver fish spread out on platters look as if they could leap off the plate in a second. Chase often painted fish during class demonstrations at his New York School of Art, says curator Katherine Bourguignon of the Terra Foundation for American Art. "The students write about this: He went to the fish market, bought the fish, he painted it, and returned the fish before it went bad," she explains says. That's how fast he was! Loaded with charisma, confidence and brushes thickly caked with paint, his strokes were sure and stunning. "People who write about it they say that you were just glued to watching him move," says Bourguignon. "You were watching every stroke, and that there were even gasps in the audience as he made the picture come to life." Chase invited students, dealers, collectors and other artists to watch him work. He showed them how to paint — lessons he'd learned in Munich, where he'd gone to study. Why Munich? Phillips curator Elsa Smithgall says it had fewer distractions than Paris. In Munich, Chase examined the Old Masters and copied them. "You can look at a picture a million times, but as an artist he wants to know how did they absolutely create that?" Smithgall says. "And the only way to really understand the process of the brush was to copy it." His work has an Old Master quality to it. But his macho brushwork, sharp angles, vast empty spaces, and choice of subjects were modern for the day. In one full-length portrait, Chase depicts his former student Lydia Field Emmet. By 1892, when he painted her, she was earning a living painting (her work is now in the White House, and the Metropolitan Museum of Art). Chase shows her in three-quarter view, hand on hip, looking over her shoulder at us. "It's a pose that, in the old masters' [paintings, was] mostly given to men," explains curator Erica Hirshler, of the Museum of Fine Arts, Boston. "And Chase takes that old master pose and he gives it to a new woman, a professional." Emmet wears a long velvet gown, trimmed with opulent white lace around the sleeve and neckline. A big, pink, satin bow in the back spills long streamers down to the floor. "It's a glorious piece of painting," Hirshler says. "It's just a big stroke of wet, pink paint." By contrast, Chase's Portrait of Mrs. C (Lady with a White Shawl) is quiet, against a brown background. Mrs. C stands in a dark blouse and long skirt, and a big white shawl enshrouding her shoulders. (You can see it here.) She's beautiful — strong, serene, dignified. "She looks straight at us," says Hirshler. She's connecting and engaging with the world. It's not clear who she is — some think it's Mrs. Chase, others say it's the woman who modeled for American artist Charles Dana Gibson, famous for his illustrations of "the Gibson Girl", who became the ideal of beauty at the turn of the century. "She's cosmopolitan and sophisticated, but seems distinctly American in her forthrightness," Hirshler says. "And that combination gets to the heart of one of the things Chase was all about, which is this desire to create a distinctly American art that was equally sophisticated and part of a cosmopolitan environment." 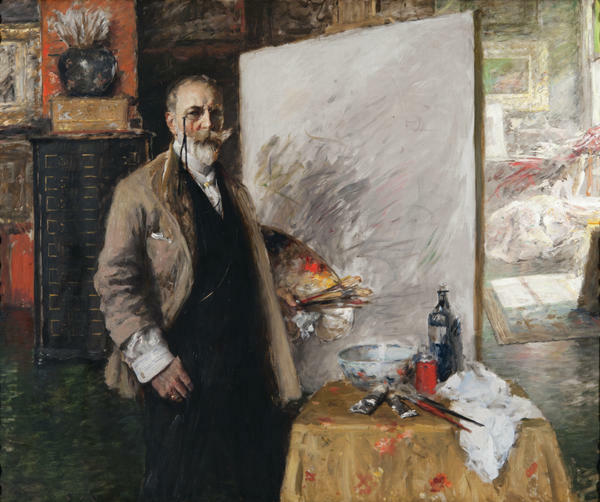 At a time when America looked to the Old World for definitions of culture, the young William Merritt Chase said, "I'd rather go to Europe than go to heaven." He did that. And then came home, to create a new, American art, and encourage this country's future artists — the thousands who passed through his classes. And every list of great 20th-century American painters includes George O'Keeffe, Edward Hopper, George Bellows. - very different artists, but they all studied with the same teacher, the painter William Merritt Chase. The Phillips Collection here in Washington, D.C., is observing the centennial of his death with a retrospective. NPR special correspondent Susan Stamberg says William Merritt Chase painted portraits and landscapes, domestic scenes, even onions. SUSAN STAMBERG, BYLINE: The director of The Phillips, Dorothy Kosinski, says Georgia O'Keeffe called her teacher fierce. Kosinski has other adjectives. DOROTHY KOSINSKI: You walk around these galleries, and the paintings are gutsy and bold and scintillating and brilliant. STAMBERG: And gorgeous, some of them - just plain gorgeous. Even when he's painting fish. KATHERINE BOURGUIGNON: Dead fish spread out on platters. STAMBERG: But they look as if they could leap off the plate in a second in all their silvery and white glory. 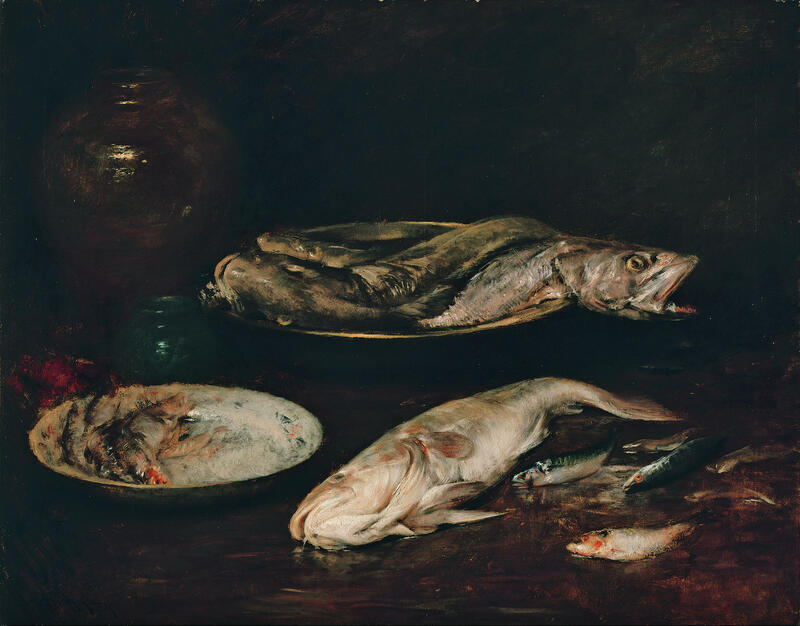 Curator Katherine Bourguignon of the Terra Foundation for American Art says William Merritt Chase often painted fish during class demonstrations at his New York School of Art. BOURGUIGNON: And the students write about this. He went to the fish market. He brought the fish. He painted it, and he returned the fish before it went bad. STAMBERG: That's how fast he was. Loaded with charisma, confidence and brushes thickly caked with paint, his strokes were sure and stunning. BOURGUIGNON: People who write about it, they say that you were just glued to watching him move. You were watching every stroke and that there were even gasps in the audience as he made the picture come to life. STAMBERG: William Merritt Chase invited students, dealers, collectors, other artists to watch him work. He showed them how to paint, lessons from Munich, where he'd gone to study. Munich? Not Paris? BOURGUIGNON: He says there were less distractions. STAMBERG: In Munich, Chase examined the old masters, copied them, says Phillips curator Elsa Smithgall. ELSA SMITHGALL: You can look at a picture a million times. But, as an artist, he wants to know - how did they absolutely create that? And the only way to really understand the process of the brush was to copy it. STAMBERG: His work has an old master quality to it, although it's modern for its day with that macho brushwork, sharp angles, vast empty spaces. His choice of subjects was modern, too. Curator Erica Hirshler - there are three curators on this show. Hirshler's from the Museum of Fine Arts, Boston. Hishler's favorite is Chase's full-length portrait of his former student Lydia Field Emmet. By 1892 when he painted her, she was earning a living painting. Now her work's in the White House and the Met. Chase shows her in three-quarter view, hand on hip, looking over her shoulder at us. ERICA HIRSHLER: She's so strong. And it's a pose that's, in the old masters, mostly given to men. And Chase takes that old master pose, and he gives it to a new woman, a professional. STAMBERG: Long, velvet gown, the neckline and sleeve trimmed in opulent, white lace, and at the back, a big, pink satin bow. HIRSHLER: It's a glorious piece of painting. It's just a big stroke of wet, pink paint. STAMBERG: The bow spills long streamers down to the floor. HIRSHLER: The kind of streamers that you would wear on the back of a dress or on the back of a hat were nicknamed follow-me-lad streamers. STAMBERG: She's feminine and authoritative with a splash of come hither, too. A very different woman was William Merritt Chase's favorite picture, although he changed favorites fairly often. "Portrait of Mrs. C (Lady With A White Shawl)" is quiet - plain, dark background, dark blouse and long skirt and a big, white shawl enshrouding her shoulders. She's beautiful, strong, serene, dignified. HIRSHLER: And she looks straight at us. She's not looking into her own thoughts. 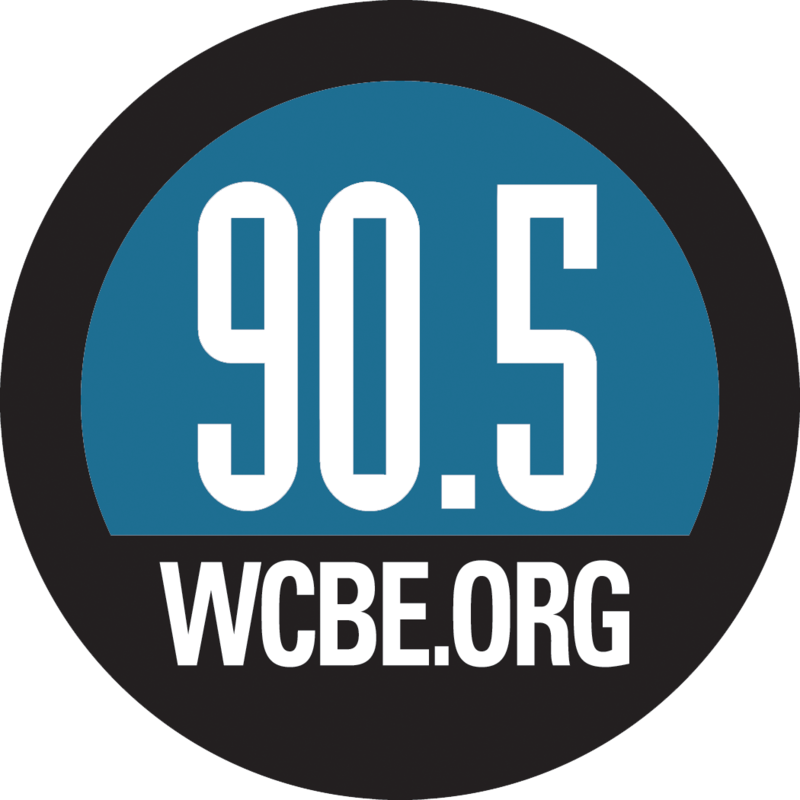 STAMBERG: Rather, she's connecting with the world, engaged with it. Not clear who she is - some think it's Mrs. Chase. Others say it's the woman who modeled for Charles Dana Gibson, famous for his illustrations of ideal, turn-of-the-century beauty, the Gibson Girl. HIRSHLER: She's cosmopolitan and sophisticated, but seems distinctly American in her forthrightness. And that combination gets to the heart of one of the things Chase was all about, which is this desire to create a distinctly American art that was equally sophisticated and part of a cosmopolitan environment. STAMBERG: At a time when America looked to the Old World for definitions of culture, young William Merritt Chase said I'd rather go to Europe than go to heaven. Well, he did that and then came home to create a new American art and encourage this country's future artists, the thousands who passed through those classes he taught with such gusto. In Washington, I'm Susan Stamberg, NPR News. GREENE: And you can chase down some of Chase's artwork at our website, npr.org. Transcript provided by NPR, Copyright NPR.